When I participated in Deepak Chopra’s meditation for compassion this past week, he said several things which really resonated with me. I think one of the most important for people to hear was his response to a question about forgiveness: “Forgive not because the other person deserves it, but because you deserve peace.” The simplest words can be the most profound. 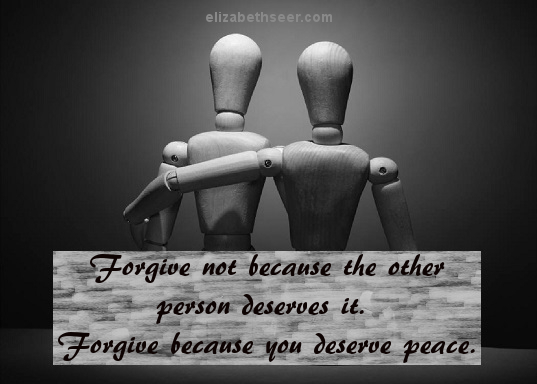 forgive for you, forgive others, forgiveness, power of forgiving. Bookmark.